Face of an Angel was commissioned by Lucca Film Festival as part of its Twenty Puccini project which invited twenty film-makers to produce short works with a Puccini connection. Face of an Angel is inspired by Puccini’s opera La Fanciulla del West, set during the Californian gold rush. The film is shot in the scarred black landscape of an open cast coal mine in South Wales, one of the original coal mining areas which fuelled the industrial revolution in Britain. 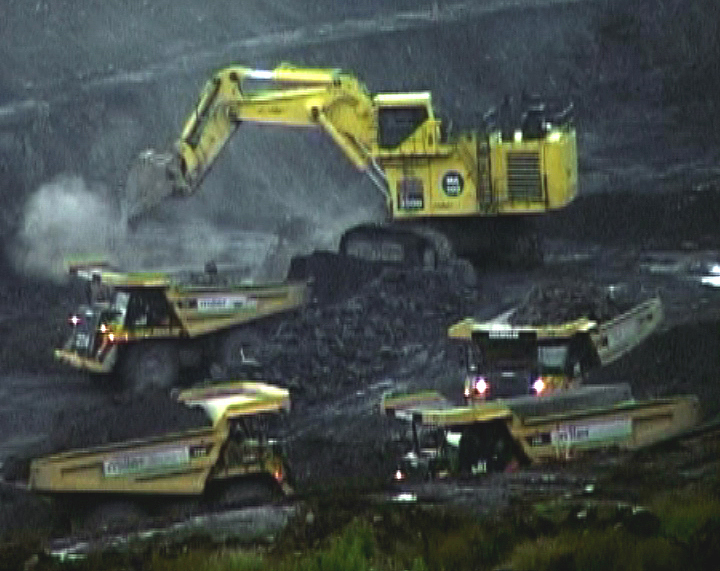 Taking the theme of redemption, the film depicts choreographed yellow dumper trucks, portraits of miners and an escape to another life using the painterly surface of low format video. Fragments of music from the opera are woven into an industrial sound track. Other film-makers who participated in Twenty Puccini include: Tonino de Bernardi, Antoine Barraud, Pip Chodorov, Brady Corbet, Peter Cramer and Jack Waters, Clare Doyon, Stephen Dwoskin, Agnès Feuvre, Keja Ho Kramer, Christian Lebrat, Alberto Momo, Lorenzo Recio, Michael Snow and Tsai Ming Liang. Lucca Film Festival, European Media Arts Festival Osnabrueck, Côté Court Paris, Festival de Nouveau Cinéma Montreal, Traverse Video Toulouse , “Musique en Images” Paris, Microscope Gallery New York, Images contre Nature Festival Marseilles , Thessaloniki Film Festival Experimental Forum.